We rely on our central cooling systems to cool our offices, data centers, and homes. Having said that, there is a lot of utility to using portable air conditioners. Here are a few examples of the added convenience that portable air conditioning can provide. There are some people that find central air condition warmer than others. With a portable air conditioning unit you can cool your own area without bothering anyone else. You can also cool any space as long as it is enclosed. Common uses are for offices and special areas on the factory floor. For many people, you can save a lot of money by investing in a portable a/c rather than using a central a/c when you are the only person in the house. The same goes for cooling during an event. You can use a rental portable air conditioner to cool just part of your house during the event. A common use of portable a/c units is to provide cooling during times when the main units have broken down or are under maintenance. You can use these units when cooling is not sufficient, hotter weather, or when the central a/c cannot cope with the thermal load. Article by MovinCool.com. Their rental portable air conditioners are entirely self-contained, enabling quick and easy set-up, installation and breakdown at all events. A failure or an issue with air conditioning is the biggest nightmare for a data center. Most elements of a data center have redundancies including cooling. However, there are some failures, such as issues with ducting etc. that cannot be protected against. This is where spot cooling comes in. Spot cooling is the ability to cool a very specific area without any infrastructure in place. For example, when a data center has an issue with air condition running to a specific rack cluster, due to a ducting failure, spot cooling is the fastest and most efficient holdover until the system is repaired. This is done by using one or more portable air conditioning units in the affected area. Many data centers have several of the units on hand to deal with such emergencies. Alternatively, once the problem has been identified, a rental portable air conditioner can be used. Renting units has an advantage is that specific capacities can be requested. There are more such uses for spot cooling in the data center. They include cooling areas where work is being carried out that does not have any air conditioning or cooling areas before the ducting is complete for central air conditioning. Regardless, portable air conditioning is an essential part of the data center contingency plan. 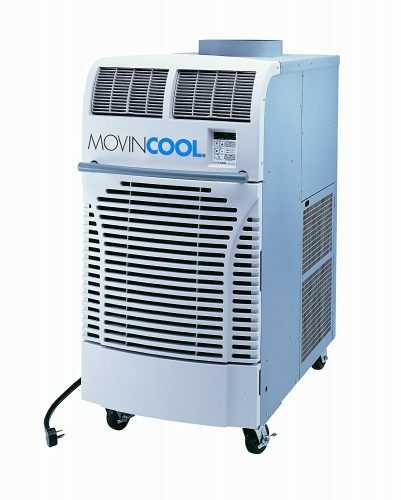 MovinCool is a supplier of industrial cooling solutions and portable air conditioners. Look no further for future data center cooling needs. This is the primary benefit of a portable air conditioner. You can put it where you want when you want. It is also perfect for smaller locations where window or split type units are not an option. Even if all you want at the time is a portable dehumidifier, just move the unit in and set it to dry. When it comes to installing air conditioners, even if you were able to put a window or split type, you might be compromising the space you want to cool. With a portable, you can put it exactly where you want it. There is no installation hassle with portable air conditioners. You set it up, plug it in and off you go. Other units require teams of people to come and installation that requires drilling and making holes that will need to be covered up later when the unit is changed or removed. Take the cooling to where it is needed. Even homes with whole house air conditioners opt to have a portable unit on hand. You can save a lot of money by only cooling the room that you are in rather than the entire house. Some whole house or built in units can’t handle a sudden influx of extra people. Your air conditioning system was likely installed with just your family in mind. But what about when you have people over? Just add additional cooling with a portable air conditioner. MovinCool are providers of industrial cooling and portable a/c units and expertise. When most of us think of AC, we think of hot summer days when we’re so grateful for this amazing creature comfort. It’s hard to even think about what we’d have to do without this industrial gift. In fact, it’s nearly impossible to imagine how people made it during the summer months before AC was invented. However, today’s AC units have much bigger jobs than just keeping people nice and comfortable during the summer. Look at data center cooling, for example. The entire World Wide Web is only possible because of crowded server rooms that are crammed full of these essential machines. These machines create a ton of heat though. Without AC units to keep temperatures in check, they’d soon destroy themselves and bring down most of the web with it. Another good example of the modern functionality of AC units is water damage restoration. If your house was to flood or some equally unimaginable destruction was to occur because of water, you’d want a portable AC unit to help dry up all that moisture. Although these are just two examples, hopefully they shed some light on the debt we owe air conditioning. It’s about more than just keeping us comfy in our homes; it can actually do a lot more. 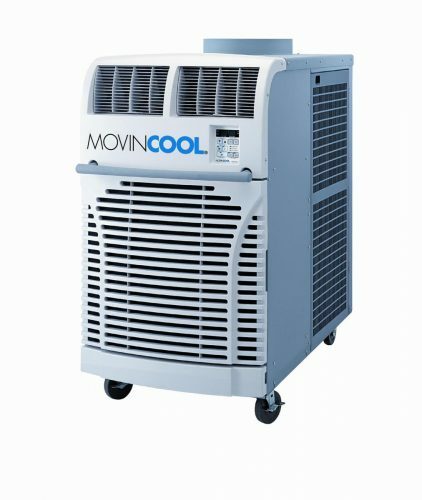 If you’re in the market for a rental portable air conditioner, check out MovinCool. The company doesn’t just have a wide selection of models, but also the type of experience that can make you confident in your purchase. When most of us think of AC, we think of a cool breeze we receive while indoors during the hot summer months. You’re probably immediately grateful, too, as you try to imagine what life would be like if you didn’t have such luxury at your disposal throughout the day. It’s impossible to think how we’d get through the summer no matter where you live. However, AC does a lot more to make life easier in modern times too. For example, when a building suffers flood damage, much of the moisture is cleaned up through AC. The process of dehumidification is vital in these scenarios. Often, industrial cooling is needed when the flood damage happened in a large commercial building. Industrial AC is also used in factories where workers may be subjected to high temperatures because the machines they operate use so much electricity. Speaking of electricity, this very website is supported by a ton of it. We’re not just talking about keeping your computer going. Websites are essentially stored on servers which are just computers that have to keep running all day long. Obviously, that produces a lot of heat too. If it isn’t controlled, the servers may become overheated and shut down, so industrial air conditioning is used to combat the problem. Portable a/c have become more important than ever. Whether it’s because you need to combat high temperatures that make everyday life arduous or have a room of servers you need to keep safe, MovinCool is here to help.